After examining and discussing this years’ Nuart 2014 theme of murals and activism we realized the underlying matter that strikes at the core for us must include a discussion about censorship, our varying degrees of comfort and discomfort with it, and how it impacts art in the streets. Steven P. Harrington & Jaime Rojo are the Founders of the influential art blog BrooklynStreetArt.com. With Steve serving as Editor-in-Chief and Jaime as Editor of Photography. 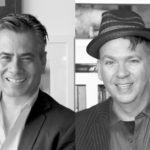 Proud New Yorkers, artists, and cultural workers for more than twenty-five years, both are experts on the evolving Street Art scene in New York as well as globally. With daily postings on Brooklyn Street Art (BSA), 175 articles on The Huffington Post, and close to one quarter of a million followers on their social media network, the two have shown and discussed Street Art, graffiti, murals, and public art in more than 100 cities over the last few years. Mural art is almost unanimously censored art and cannot be righty considered strictly as Street Art. Whether the content of the composition has been influenced by a wall owner, a real estate developer, a sportswear brand, a business improvement district, or by Father Paddy O’Reilly who lives in the rectory just up the street, once a mural has been discussed and voted on and approved, however tacitly, by an entity other than the artist, the mural takes one large step in the direction of public art and a fast run away from the D.I.Y. approach that we think of as Street Art. Censorship is anathema to the entire activist spirit of Street Art that drew us to it to begin with. No permission is sought for commission, and no critique is necessarily desired either. By its very nature it’s all about politics – personal, geo, social, anthropological, philosophical, sexual, identity-based. Rabble rousers and challengers of the status quo, the choice to avert the established Art World path of university-gallery-fairs-museums-collectors and the multiple layers of gate-keeping is itself a sort of middle finger activism toward the self-appointed doyennes of art, design and basically any aesthetic endeavor. The only peer-review journal they are interested in are the thick dripping markers nearby or overtop their work – and in the various Internet hubs they participate in. Street Art, a corollary to and evolution of the graffiti practice never necessarily had in mind that it was answerable to any person or institution but rather it has been primarily a direct communication to the everyday passerby. With the growing fascination, acceptance, and even romance with Street Art on illegal walls, real estate developers and moribund city centers are courting the very artists who once surreptitiously hit the walls, with some restrictions naturally. Only ten years earlier many of these same entities were alerting authorities to the vandalism occurring on walls in their neighborhoods. Now artists are being tracked again – but with a different request: please hit up my wall with beautification in mind and with something vaguely edgy. Eager for the “exposure” and relieved to not have to look over their shoulder for the police, a mass of Street Artists are happy to create happy walls. Not exactly the public art murals of yesteryear that spoke to social ills and local pride, the new crop of murals is pleasant and sometimes aesthetically astounding, but the genteel censorship brings the final result closer to public art than Street Art. Conversely, commercial mural walls are openly anti-activist and non-apologetic vehicles for the delivery of a sponsored message. For purists, if there are any, this is the essence of the Street Art creative approach now perverted by the integration of branded content, radically altering its essential spirit. We won’t say “co-opt” lest you think us hippies, but even hippies are sedate these days and this evolutionary phase of Street Art is simply the adopting of the language of a subculture to sell something to the dominant culture. In a time when TV is giving wars their own names and themed motion-graphics, Street Art as a product delivery vehicle is probably expected. From Elvis to punk to hipsters we have learned over decades that organically grown youth movements are first resisted then fully subsumed, synthesized, and re-employed. Thankfully, not everyone in the next gen of Millennial #activists got the text. These digital natives whose initial cell division took place in an amniotic fluid floating in logos and slogans are hypersensitive to the commercial or political re-purposing of their anger and have taken the means of digital meme production into their hands and swiping fingers. With virtual location unmoored from the physical location, freelance and organized Street Artists create works on walls and fences and bus stops across cities specifically to be shot and re-Grammed en route to addressing topical events and issues. Unsanctioned takeovers of public and private space are quickly recorded and dispersed through the ether before being buffed – or even discovered. No clouding or spinning of the message has a chance to take place before the campaign begins, only in reaction to it. With these and other means activists on the street are reaching their target audiences like never before. Whether it is the ever flaring Israeli-Palestinian disaster, the blossoming Arab Spring, the BP oil spill in the Gulf of Mexico, the verbal harassment of women in a Brooklyn neighborhood, factory-raised meat and GMOs at your local grocery, or simply the rapidly growing canyon between rich and poor worldwide, Street Art activism is way outside the censorious instincts of most mural programs and urban art festivals. Ultimately the rise in large scale murals and mural programs and festivals are excellent for world-wide public art production but may have a silencing effect on the more traditionally rebellious Street Artist, with the resulting work a de-fanged and pleasantly neutered version of its original conception. If this is censorship imposed from outside or within, we may be seeing a more palatable art in the streets for the next few years, but it won’t signal the end of Street Art. You can securely predict that the discontented youth who prefer a more activist approach will be out there as well.